NASCAR’s National Motorsports Appeals Panel upheld the two-race penalty lodged against Matt Kenseth for ramming Joey Logano’s car at Martinsville Speedway. 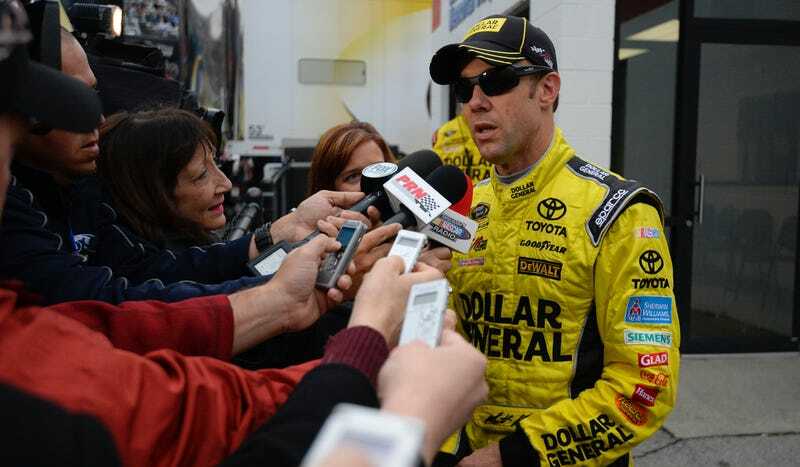 The National Motorsports Appeals Panel today heard and considered the appeal of a Behavioral Penalty issued on Nov. 3 to Matt Kenseth (driver) relative to NASCAR Sprint Cup Series vehicle #20 at Martinsville Speedway. The penalty concerns the following sections in the 2015 NASCAR Rule Book: Sections 12.1 and 12.8. The original penalty assessed included suspension from NASCAR until the completion of the next two NASCAR Sprint Cup Series events and placed on NASCAR probation for six months following the issuance of the Penalty Notice. 2. The Panel affirms and upholds the original Penalty levied by NASCAR. The Appellant has chosen to appeal the decision of the National Motorsports Appeals Panel to the National Motorsports Final Appeals Officer in accordance with Section 15 of the NASCAR Rule Book. The appeal will begin at 1 p.m. ET. Kenseth and his team have chosen to appeal one more time, but it’s looking unlikely that any lieniency will be shown to the Sprint Cup competitor. This penalty has been highly controversial. While some fans point out that it’s far harsher than the penalties lodged against revenge-punts in the past and goes against the very “have at it” nature of NASCAR, others believe it’s good that NASCAR is finally taking a stand against blatantly dangerous on-track behavior. The final opinion will come after that 1 p.m. ET hearing. If upheld, Joe Gibbs Racing will likely look to run the number 20 car with another driver. Per ESPN’s Bob Pockrass, Erik Jones is set to be the fill-in driver. UPDATE: Per a release sent out by NASCAR, the National Motorsports Final Appeals Officer’s decision is in, and that means Kenseth is still out for the next two Sprint Cup races. While none of the penalty itself was changed, the duration of probation was pared back from 6 months to the end of 2015 instead. This is a final, binding decision, and Kenseth is allowed no further appeal.